How to boost engagement in online community? When companies deploy an online community, the number one question they have is “How to increase engagement? "This is a common problem. 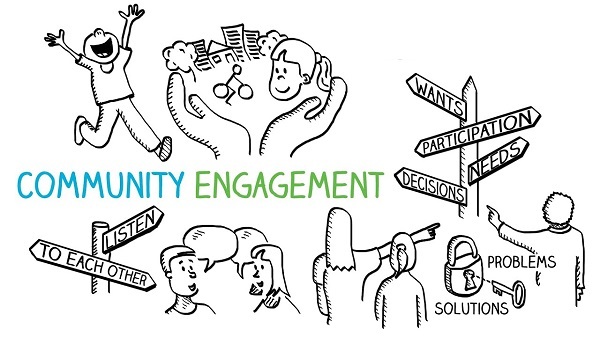 In fact, hundreds of companies that recently surveyed said that community engagement was their main challenge. So how do companies promote a living, active community? The place where customers return with regularity and contribute to conversations. Where they get answers to their questions, they help others and exchange ideas and common interests. Where they feel a meaningful connection with the company and other customers. Creating an online community is a table stake in todays digital world. These are companies that build a community of vocal, passionate and motivated clients that release the true value of a community. Below are five sure-fire ways to promote to improve the community engagement. From the beginning, sow your community with high-quality content. Put yourself in the shoes of your customers and think about the information you need. What common questions can I share? How can you better organize your information in easy-to-navigate categories? Where can a film better educate clients? Some companies think of content through the customer lifecycle, information about getting started with content that helps customers become energy users and get the most value over time. Track how this basic content performs and trim and add how you learn. If the content is irrelevant to the right, clients that are present cannot return. It does not matter how big your community is if no one knows that it exists. A strong community has many entry points. The obvious location is included on the company website. Another common place is the integrated Facebook business page where customers often go to questions or comments. More and more companies also integrate the community into their customer portal, making it part of a single-posting process. If necessary, you can also embed the online community into a real product to get more contextual help. This way, customers will never have to leave a response. Create a process to create and maintain a dynamic community. Think of your community in an ever-changing environment where you always remove old content and add new ones. Make practice analyzing what your customers are looking for and proactively create your content. Find themes and trends that deserve more information. Find out where your customers are dropping out and plan your strategy for how to provide better help. Each time you release new product features, for example, wait for the bike to start again updating, seeded content. Remember that when society evolves, the customer content is often more complex in nature. This is a good sign that simple questions will be answered easily and that customers will trust the community to help them more nuanced interactions or specific cases. Engagement is a two-way street. It is not just getting customers to be active. Companies also motivate employees of the company to participate in society. Some people use the Community orientation tool, new hiring to spend the time to observe what customers are asking and what answers. Other companies require a few hours each month of the "community service" from every district and thus keep everyone in tune with the client. Find ways to draw in employees, so customers can see the organizations many faces and their passions. Be sure to provide training for your employees from the "Voice" company that you want your team members to have when they communicate directly with customers. Things like keeping a positive tone and being helpful, friendly and authentic. Your community should expand your total value proposition. Keep your community as a central element in your customer relationship and place it in this way. When you first register with a new customer, make an introduction to the community part of their boarding. Some community leaders also make a multi-touch campaign for new users to pull them into introducing the community into marketing materials and customer communications and be proud of what it says about you forward-looking, open and service-oriented business. The more weight you place on your community, the more customers will follow the suite.